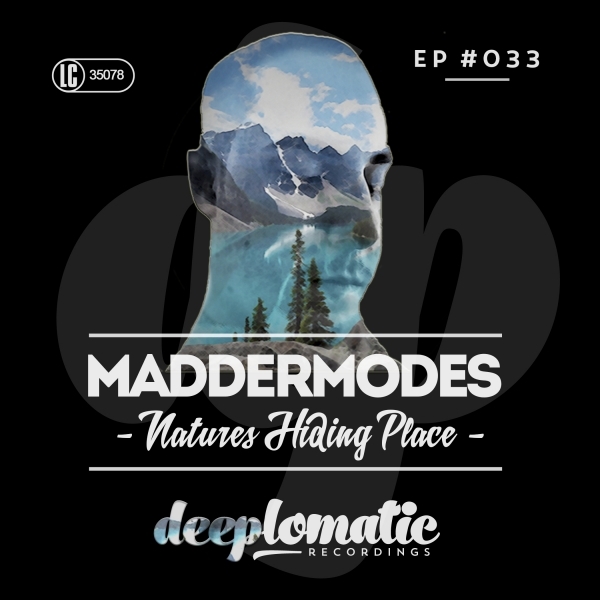 Deeplomatic Recordings EP#033, MadderModes aka Nic Ford and Andy Harper work in parallel on tracks from opposite sides of the planet. Having forged their musical relationship in the post-industrial, sound-heavy world of Manchester, UK, their shared vision for their productions has led to the creation of some truly spectacular tracks and this latest EP is no exception. Combining all sorts of emotions, dynamics and ingeniously sourced samples, ‘Natures Hiding Place’ is another example of how depth and rhythm can make for a truly immersive, moving sonic experience.